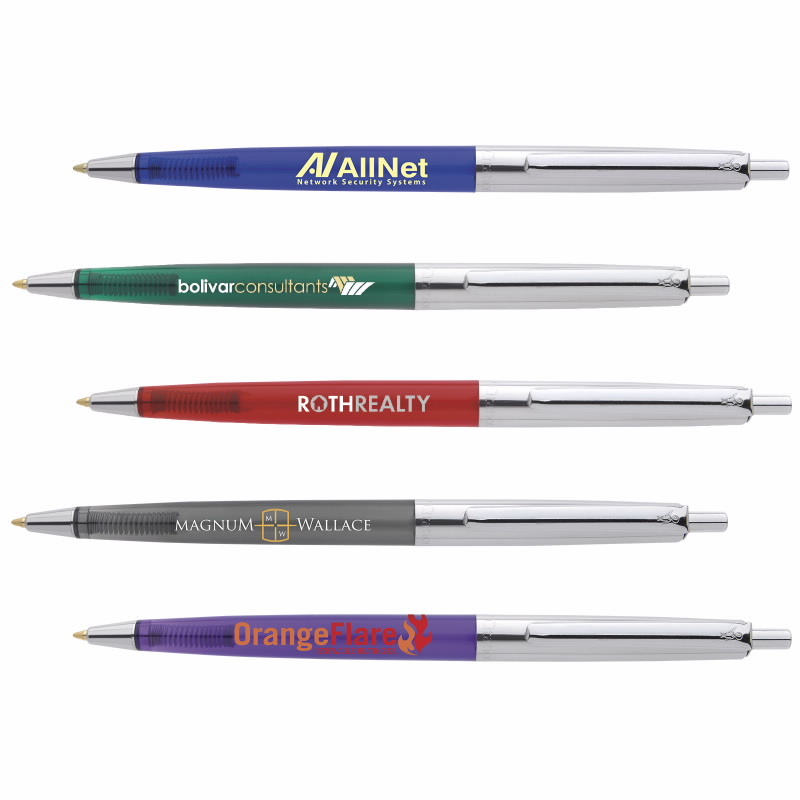 Classic slim retractable ballpoint with polished nickel plated trim. See through barrel adds interest to popular colors. Always in stock. FREE set-up. Polished nickel-plated trim. Refillable. Slim retractable ballpoint. Mechanism: Plunger-Action.